There’s a reason the world has a love affair with Thai cuisine. Sweet, sour, salty, spicy - full of fresh flavours and crunchy textures. The ultimate street food, unrivalled in its variety and vivacity. Basis for a banquet when brought together in all its glory. Yet what most of us know from home is only a glimpse of what’s on offer in Thailand itself. Travel around the country and you’re sure to discover an infinite variety of new flavours. 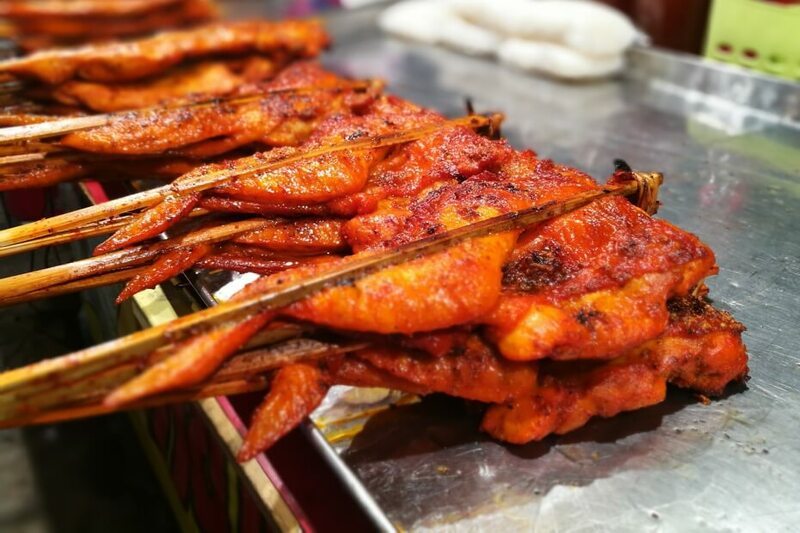 To the north, you’ll find fragrant and spiced BBQ meats on every street corner, such as Mu Ping (pork skewers) or Sai Ua (the Chiang Mai signature dish of spiced lemongrass sausage). In the neighbouring Isaan, dishes consist of glutinous rice and make good use of the abundant chilli peppers. Head south and you’ll stumble upon even more fiery heat with Indonesian and Malaysian influences; sharp and citrusy soups and curries. Then cross to the islands where resorts and restaurants abound and we’re greeted by a fusion of more recognised flavours fuelled by global influences, underpinned by the abundant seafood of the area. 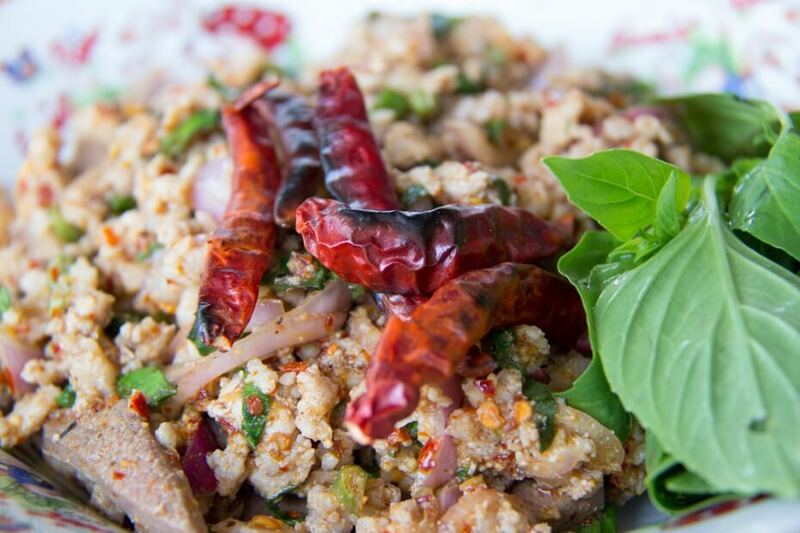 This minced pork salad dish is a blend of sweet meat and fragrant herbs, delivering the full Thai flavour profile. Ginger, garlic, lemongrass and chilli with the ever-present fish sauce brought together in this fresh, satisfying bowl of food, finished with a good squeeze of lime to round off the flavours. The dish is a staple of the North Eastern Isaan region and should cost you about THB 35 -THB 50 . This staple of Thai cuisine comes in a few varieties, and the choice of with or without an egg. You’ll find it on any street corner with a choice of noodles, plus a few basic vegetables, added to a searing wok and flash fried. Then it’s up to you to top with any number of your favourite Thai condiments – crushed peanuts, dried shrimp, peppers and lime to name a few. Step into any street and you’ll see this being cooked on all corners, with bowls costing as little as THB 40. The ultimate fast food, these spiced chicken skewers will beat any high street rival as lean meat is left to marinate in a light soy sauce, turmeric and sugar mix before being dropped on a red-hot grill and left to crisp up. This is a punchier version of any grilled chicken you are used to and boasts a surprising intensity of flavour. Another dish you will find throughout Thailand, it’s an inexpensive treat at around THB 40. A famous dish from the north, and a heady mix of Burmese-influenced flavours in which flat egg noodles are shrouded by a rich, creamy coconut cream sauce. It’s often served with chicken or beef and a side of pickles or a squeeze of lime to lighten up the savoury flavours. 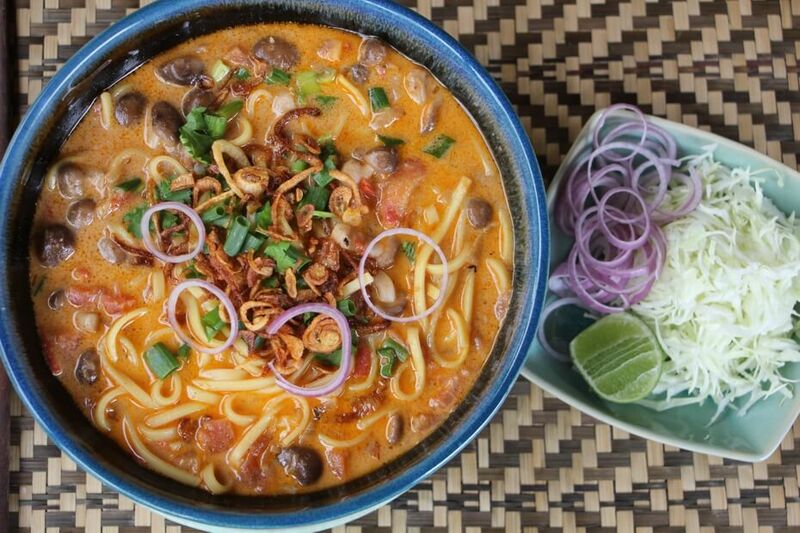 Expect to pay around THB 50 for a satisfyingly rich noodle curry. Crispy pork belly, stir fried with greens and garlic make this a substantial and satisfying plate to dive into. Garlic dominates the flavour with hints of salty sweetness from oyster sauce and a good handful of fresh greens to balance out the dish. This popular Bangkok street food costs around THB 45 and can come with a variety of different vegetables, with a few vendors adding their own little twists of flavour. 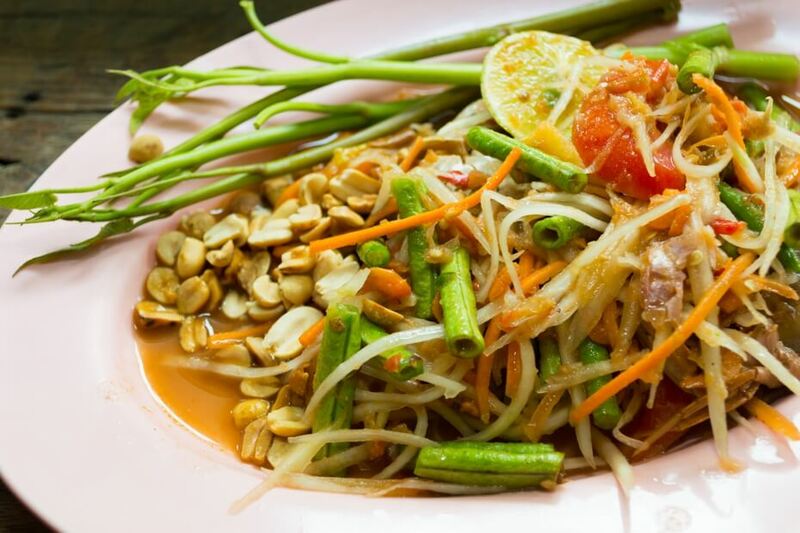 Every Thai aficionado will recognise this one – the fragrant, fresh and reassuringly spicy green papaya salad that sits so well as a side to any dish. Unripe papaya adds a crunchy background sourness, backed up by plenty of lime, fresh chilli and a savoury hit of dried prawn and peanut. Pounded together in a wooden mortar and pestle, the flavours naturally come together with real freshness. Some tam is a Bangkok favourite and found throughout Thailand, costing THB 35. A stir fry of chicken and cashew nuts with a smattering of vegetables, this is a robustly flavoured and lightly sauced plate. Finished with a drizzle of toasted sesame oil, it delivers a satisfying nutty hit. The dish is of Chinese origin (Kung Po Chicken, anyone?) 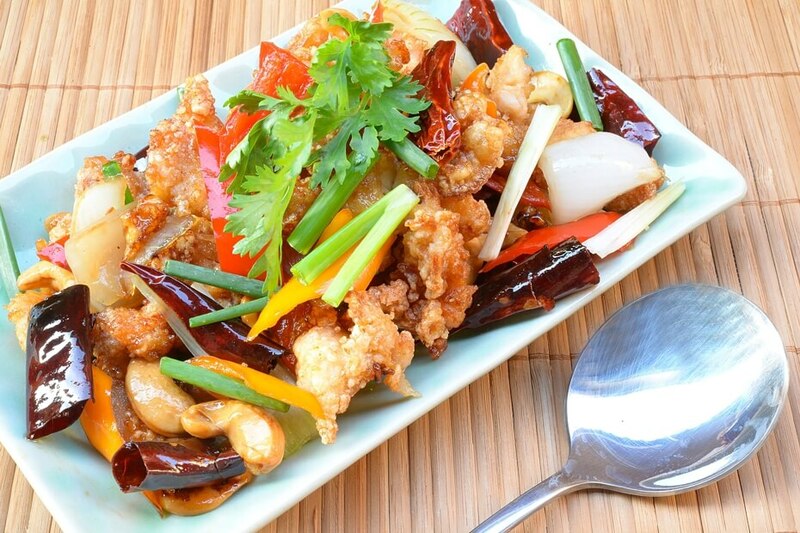 but has been given a Thai-twist with the addition of cashews and plenty of dried red chilli to deliver the heat. It should cost around THB 45 from any good street vendor. 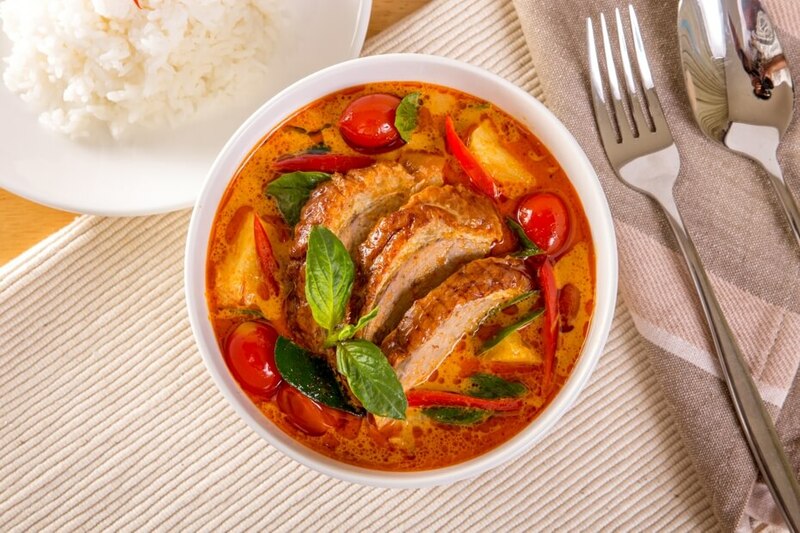 A famed red curry dish consisting of roasted duck in a creamy coconut sauce. Hot, sweet, sour and full of fragrant, fresh herbs. This is a plate to truly savour, such is its depth and variety. Kaffir lime leaf brings out a satisfying yet subtle hint of citrus and is the secret ingredient at the heart of so many of our favourite Thai recipes. This more regal dish remains affordable, costing around THB 55. This is a true feast for the eyes as a variety of fish is steamed in a young coconut or banana leaf and served straight from the cooker. The fish arrives in a thick, custard-like red curry sauce, which is intensely aromatic. 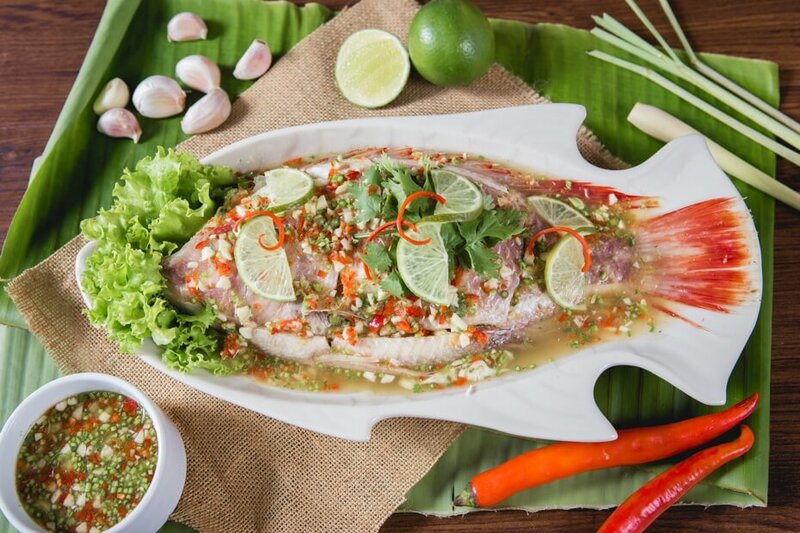 Red snapper is the seafood of choice as the meaty fish holds up well within the richly flavoured sauce. 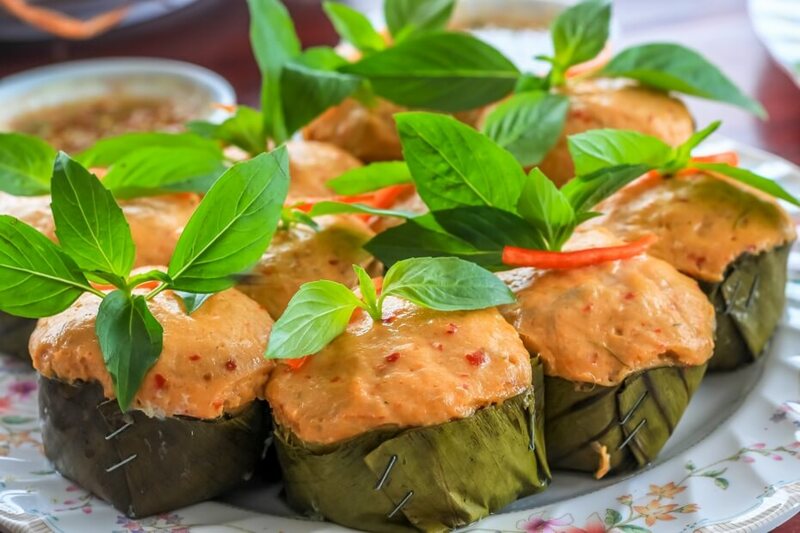 Hor Mok is of South Eastern origin – referring to the steamed method of cooking - and costs around THB 70. A final steamed fish dish, but fresher in flavour as the seafood is cooked in lime juice, ginger and garlic. The result is a cleaner and healthier plate that is visually stunning as a whole fish is presented, bathed in the cooking juices from the cooking process plus a handful of other fragrant ingredients. 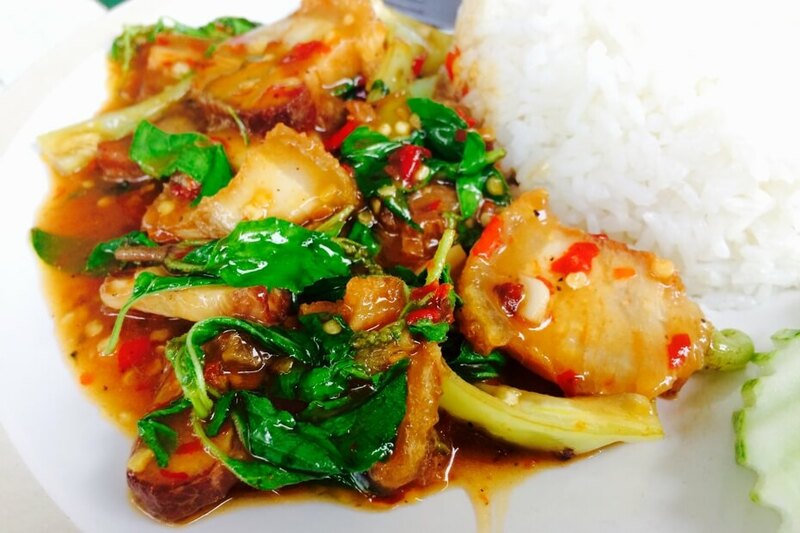 Stemming from the south, this dish can cost around THB 80 - THB 150 depending on the fish used. Thai food is so much more than what we see at home. These simplified versions don’t do justice to the sheer variety of flavours and ingredients on offer in the sub-tropical paradise. 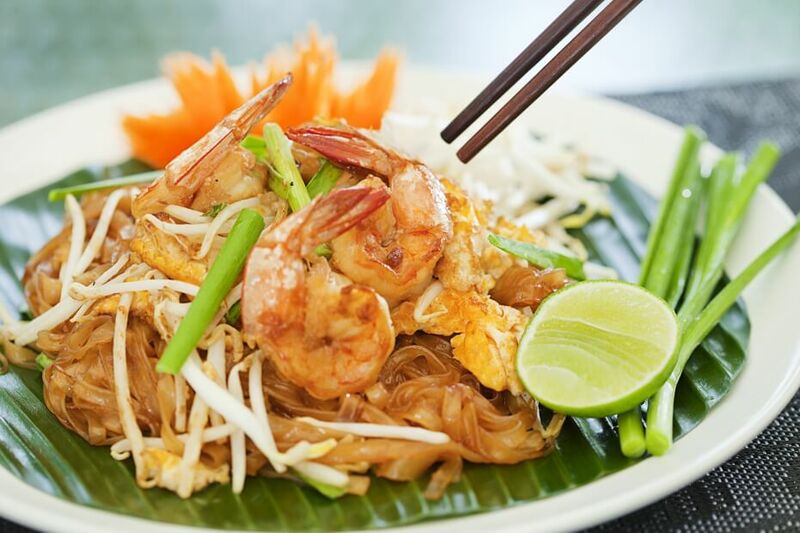 Thailand is a rich melting pot of cultures and influences and this is fully reflected in their cuisine. 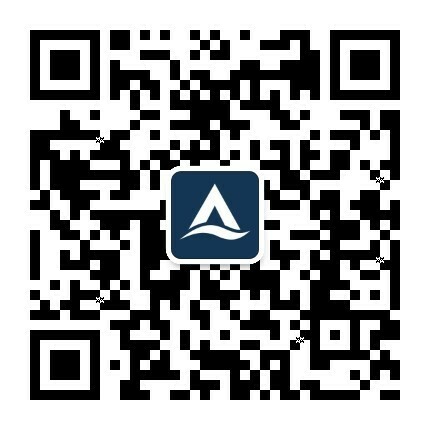 As you move around the country, you will see subtle yet pronounced shifts in the cooking styles on offer and it is more than worth the effort to traverse the country in search of the culinary delights that each region will deliver.